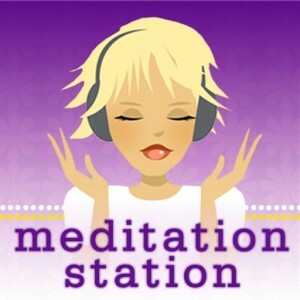 The following is a letter I wrote to a friend who was feeling a bit stressed – could meditation podcasts help her out? The whole internet is aware that you are a mad hippy who believes in crystals and the healing power of sugar water. What they wouldn’t guess from looking at your Facebook stream of holiday photos, which you have carefully curated to suggest you are a zen master, is that in fact you are totally zenless. 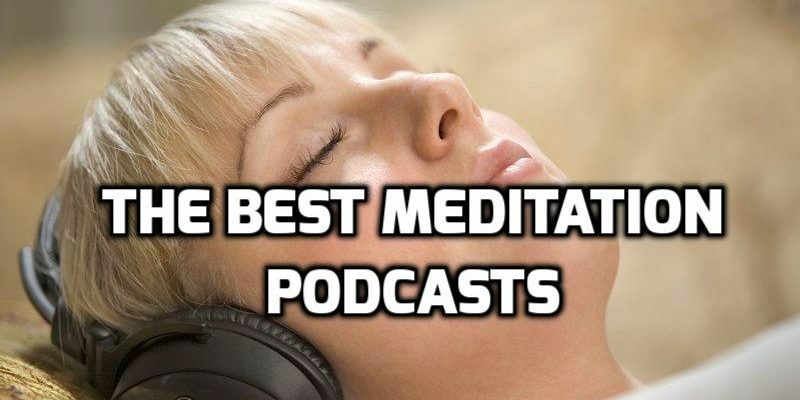 So I’ve come up with this list of the best meditation podcasts for you to relax to and get some chi and all that. Deep Energy is created by a dude called Jim Butler. I thumbed through the feed – all the episodes have names like ‘Reverence’ and ‘Song for Gaia’. Sounds like Jim wears a lot of organic cotton clothing. 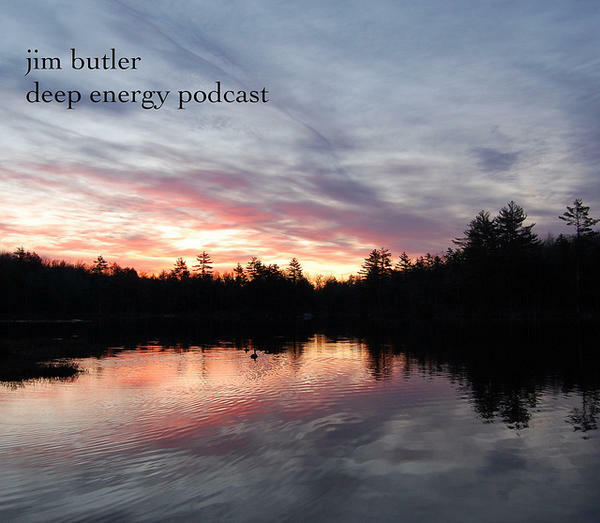 Deciding to start at the start, I downloaded Deep Energy 1 – A Quiet Storm. Jim introduced himself and some of his products. Then there were soothing hippie sounds for a few minutes. Then I woke up the next morning covered in drool. But it was happy drool. I had slept like a log. This starts by saying ‘welcome to this mp3’ – which suggests it’s been repurposed from what other scam they had going on. The episodes have names like ‘Meditation for dealing with a crisis’ and ‘I love, honor, and respect myself.’ (And now every male reader of this blog has just closed this tab.) So I pressed play, closed my eyes – and woke up 8 hours later feeling great. I just played a little bit of it again so I could give proper feedback, and it’s just this woman with a super-nice voice talking over gentle music. It’s as close to perfectly produced as makes no difference. The episodes are fairly short, so it’s perfect for naps. It claims to have over a million members, which I would normally be dubious about. But pressing play on this podcast in a dark room at night was like dropping a sleep anvil on my head. I don’t think I’ve had 3 good night’s sleep in a row in the last ten years. Seriously. This stuff is dynamite. This guy has a deep, soothing voice. It’s a bit different from the others in that there’s some actual meditation content. Okay, now that I listen to it in the daytime there’s a ludicrous element to it, but I don’t care. I can’t bring myself to make fun of things that help me sleep. Okay look at the logo. We know this is going to be lame, right? Well, as Brandon and Jerry showed, we shouldn’t judge a book by its cover. But this one was lame. I was so annoyed I only listened to a few minutes. It’s an Australian guy who is slightly too close to the mike or doesn’t have a pop shield. Sometimes he trips over his words. There are some editing mistakes (odd jumps and skips). 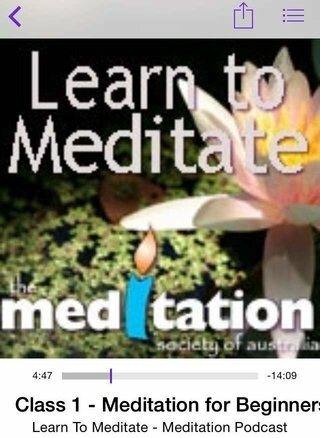 While I’m very happy to delete this from my phone, I have to say that it might be the right podcast for someone who actually wants to learn something about meditation. If learning how to meditate is why you found this post, go ahead and give Meditation for Beginners a try – just don’t try to fall asleep to it. These guys care even less than Meditation for Beginners about their visual appeal. So do they spend more time on the audio quality? You betcha they do. I downloaded the episode called Reiki Treatment, because while Reiki is objectively stupid and insane, it is also tremendously relaxing. After the intro from a lady with a nice voice, a buzz fades in. From my extensive knowledge of stuff on the internet I know this to be a delta wave. It’s supposed to scramble your brain in a relaxing way. 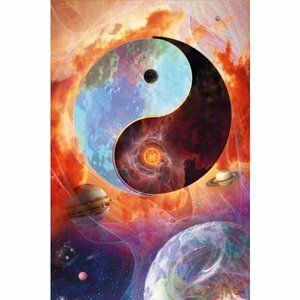 Then a dude started talking about how he was going to heal and help me with with his long distance Reiki-voodoo-magic. I tried to snort with derision but I couldn’t – I was stone cold asleep. Bang! Totally knocked out. 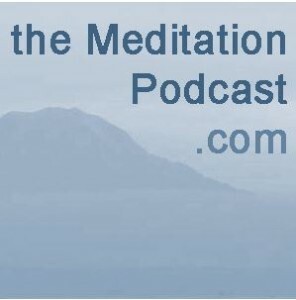 The Meditation Podcast is a phenomenally great piece of audio. It feels like every aspect of it has been crafted – the exact opposite of Meditation for Beginners. The feed on this one is as esoteric and impractical as all the others – I skipped over ‘pregnancy meditation’, wondered if I needed to find my inner child, and finally chose ‘Enhance your Creativity’. The woman has a soporific voice, which by now you’ll realise I find one of the highest possible compliments. I can’t compare it directly with the other ones because I didn’t listen at night. (You know what just happened? The voice of the woman just came into my head. She said ‘don’t seek to compare things, just enjoy them for what they are.’) That one didn’t have background music, but another I checked out did. So, Meditation Oasis. Yes or no? There were ones I liked better, but the difference is pretty fractional. I’m sure some people will like this one better. Ooh! An elegant, custom-made podcast logo! Promising. I’m going to listen to this one right away so I can finish this blog post and get it posted. The woman is very cheery and upbeat. The chirping birds in the background (a common theme of these things) is also very chipper. Is this relaxing? She’s talking about Mudras. I refuse to google what that is. Something with universal energy I bet. I’m getting annoyed. I don’t like this. Ten minutes in – I don’t totally hate it. She trips over some words in a way that snaps me out of my flow. The content is insane, of course, but I think there’s a demographic for this show. It just doesn’t include me. So what do you think Cecile? Are you going to try any of them? Well, ARE YOU? And what about you, dear blog guest? Do you agree these are the best meditation podcasts? Note to self – you probably want to check if these things are still active or not. Thanks for this review and thanks for doing the work so I don’t have to. The reviews made me laugh out loud. Yep, an actual lol. It seemed like yo were using the podcast to help you go to sleep or help you with sleep. 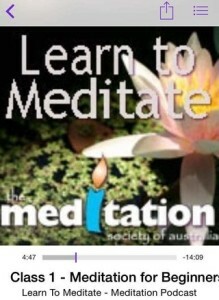 I was looking more for a meditation podcast to help me strengthen my mind and my focus mostly for sports performance. I appreciate the reviews. At least I know for sure which podcasts not to try out. Thanks for the comment. When I listened I didn’t have a specific goal in mind – I just thought it would be a niche that people were interested in. I found they were quite soothing but I would have been open to the self-improvement you mention. Have you tried ‘Headspace’? It’s a real meditation series. You can get ten episodes for free. I dip in to that when my brain is a bit cluttered. And if you do find the podcast that meets your requirements, please drop back here and let us know! Thanks, I will try that one and if I come across any that I love I will let you know. 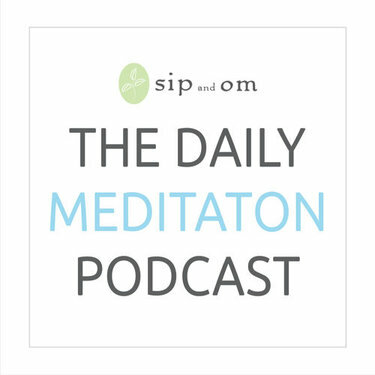 So you are saying that one of these meditation podcasts might actually help me get more than three hours of sleep every night?! Thanks for the info. Agree headspace is great. Also, fall asleep with me podcast is brilliant. Not meditation but nonsense stories read in a soporific voice that totally zonk you out. I’ve also just found meditation minis podcast (5 mins) which are good. And finally, Live in the Present do a morning focus and evening review 5 mins ones (mp3s available if you sign up to their site for free) which are very good. They do weekly podcasts as well. 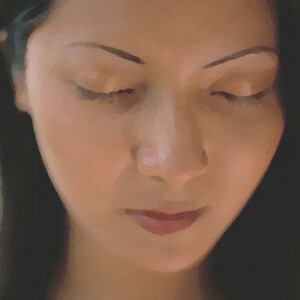 60 Seconds of Solitude is a quick, easy, 1-minute meditation ? ANDREW!!! 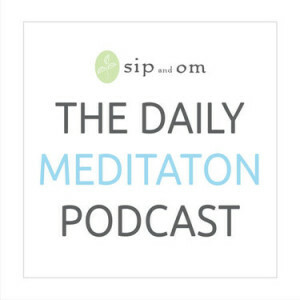 Great list, but you missed one of THE BEST podcasts for meditation….Meditation Minis with Chel Hamilton!! It’s a must on your next list! !